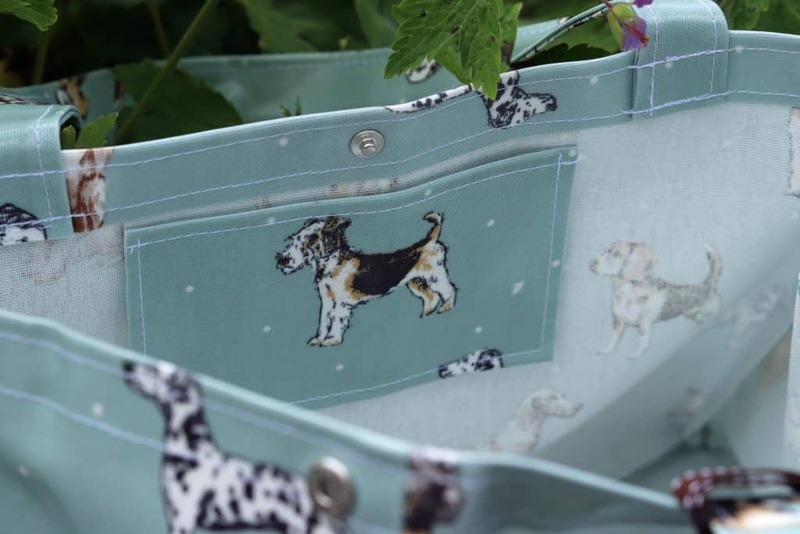 This year I’ve had a rather lovely treat though as I was asked by Lottie from The Cosy Canine Company to write a review of her gorgeous oilcloth bag – for humans! Yes, I know very unusual not to be writing about products for Poppy dog – however as you can see, it’s still very closely canine related and Lottie does also make beautiful products for dogs too, in fact last year we wrote a review of her fabulous dog walking bag which you can read all about here. 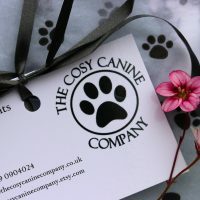 Having already written one review for The Cosy Canine Company, I felt completely honoured to be asked to write another, not to mention overjoyed that I am now the proud owner of not one, but two of Lottie’s adorable handmade products. 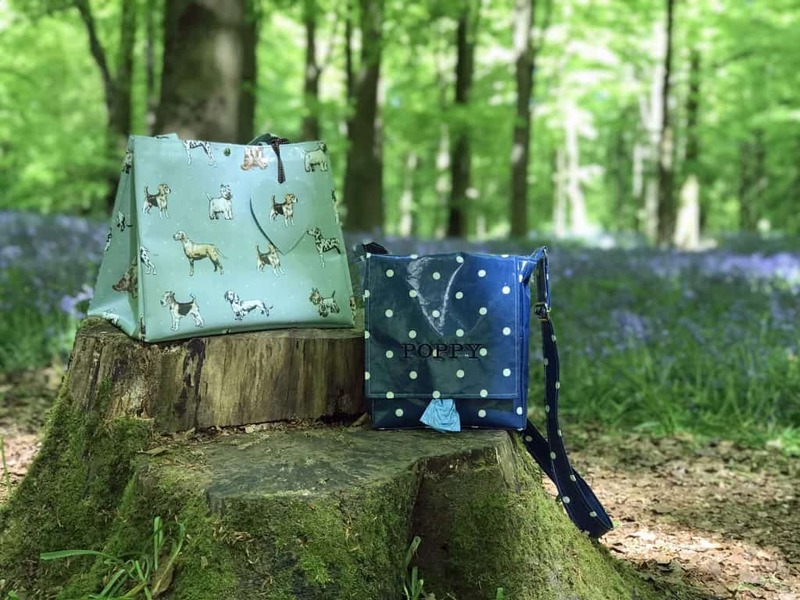 These beautifully made bags come in a range of colours and fabrics, all of which are stunning and would add style to even the simplest of outfits. 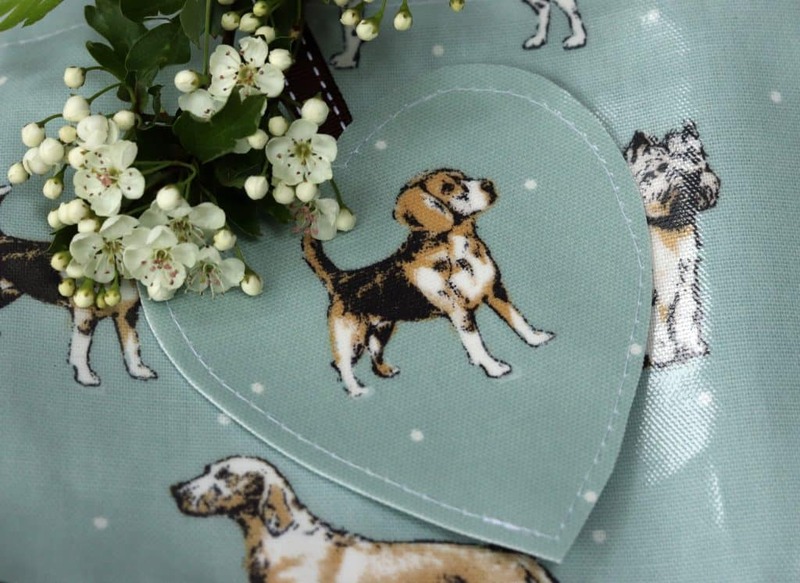 For me though, when Lottie asked which colour I’d like, duck egg won paws down – I just love it, in fact it takes serious will power not to decorate our whole house in shades of duck egg and eau de nil! What I love about Lottie’s products is that she pays such attention to detail; detail and quality that in my personal experience you only get with items that are lovingly handmade. Everything from the stitching, to the packaging has been thought through with the upmost care, creating products which you can just tell have been made with love and pride. 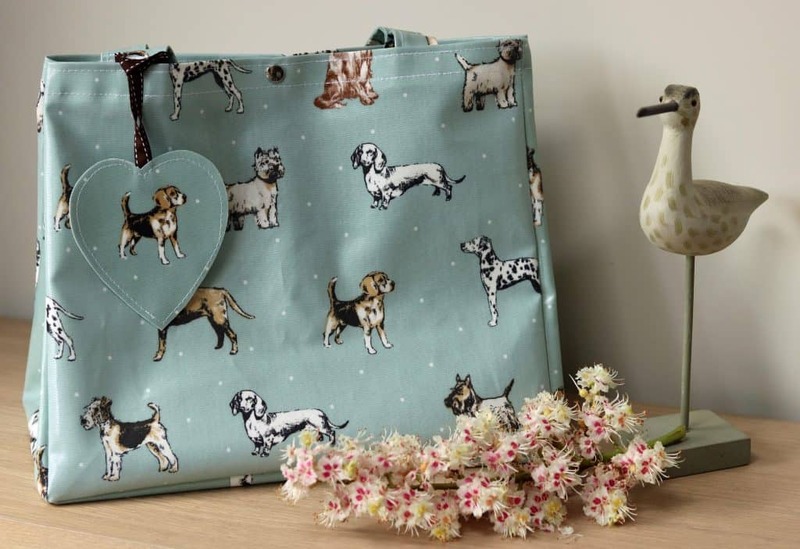 This bag comes with a handy little inside pocket to keep keys in so they’re readily accessible, as opposed to being buried in my disorganised clutter – note the attention to detail with the little dog positioned beautifully in the middle! I also love the fact that it has a press stud fastening at the top – a great safety feature if you’re in a busy place, and trust me this bag will be coming to a lot of places and will be paraded with extreme pride. 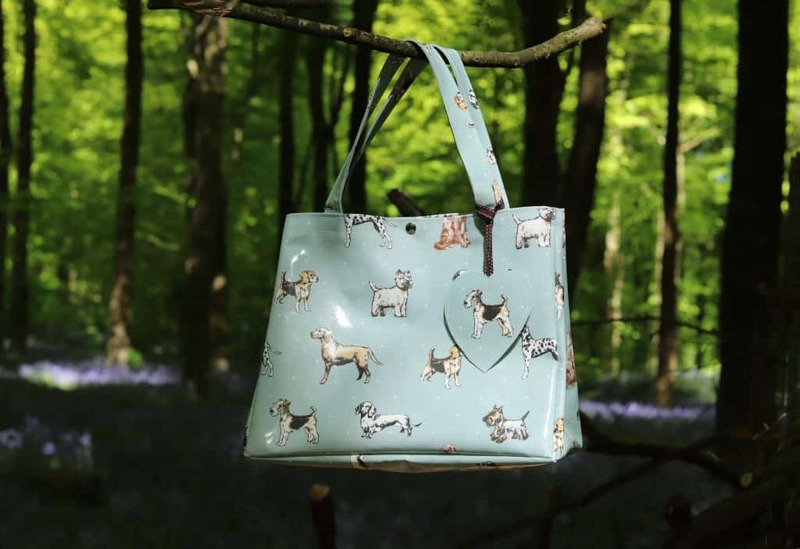 To me this bag is just perfect – practical, yet stylish [and dog related of course!] and with prices starting at just £29.95 it’s an absolute bargain. Complete with an adorable little heart-shaped tag, that wraps around the base of the handle, tied on with the cutest of ribbons in a complimentary colour, it really is quite something to look at. What’s more it’s super practical too – at each side is a press stud fastening allowing you to convert it from a shoulder-style bag, to more of a shopper bag meaning you can carry bulkier items. Also, because it’s made from oilcloth, it’s not only extremely durable, but practical too and can be easily wiped clean. It’ll come as no surprise that I rather like to coordinate with Poppy dog! No one gets a reputation for being a dog-crazy lady like me without good cause, and having won a look-a-like competition at a local dog show in the past [one of the proudest moments of my life and the most humiliating moments of Mr T’s life!] I need to retain my accolade! 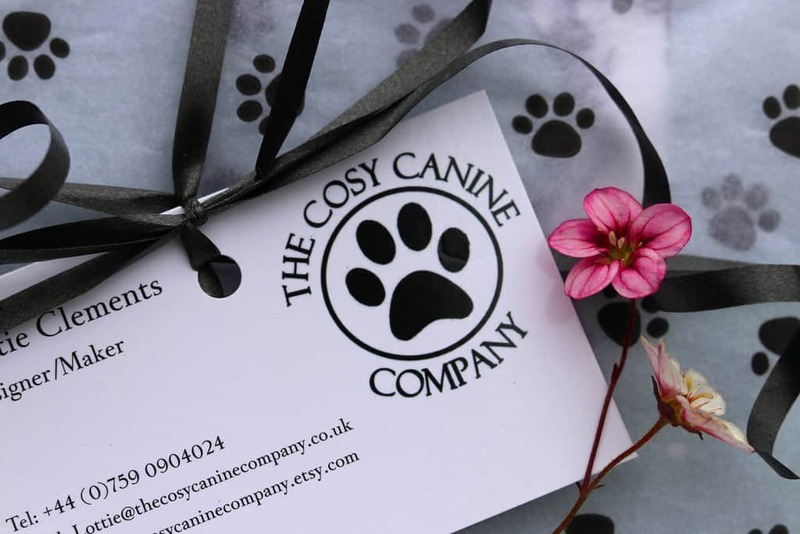 The Cosy Canine Company not only make gorgeous products which are both stylish and practical for hound and human, but some of their items also allow you and your canine companion to coordinate your accessories, what could be more perfect? 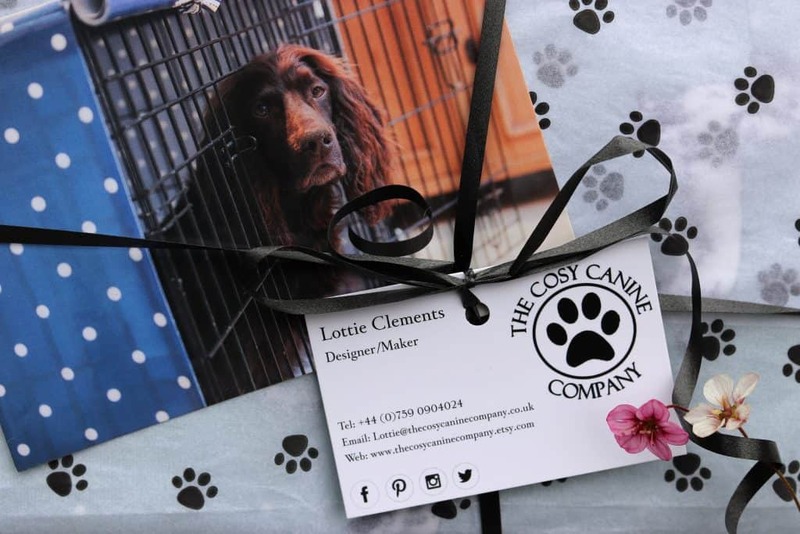 To see the full range of Lottie’s fabulous handmade products visit The Cosy Canine Company where you’ll find bespoke dog crate covers, poo bag holders, aprons and more. 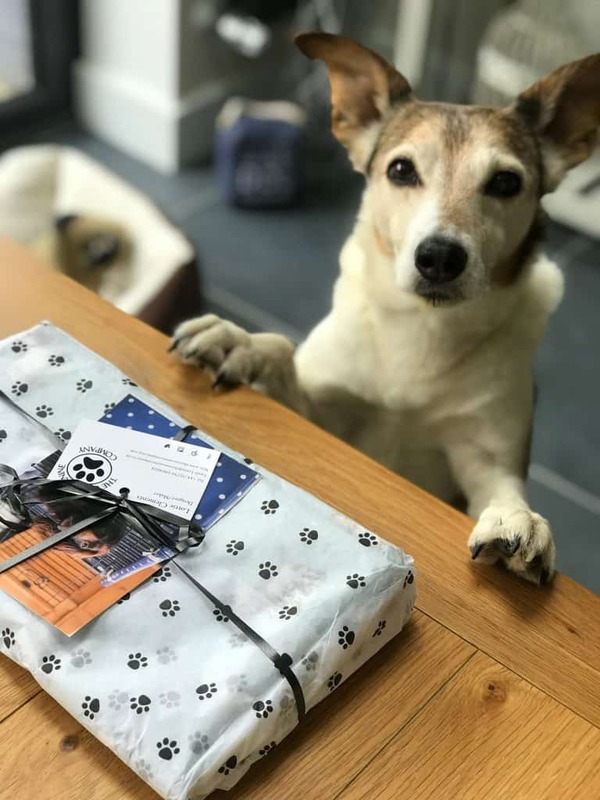 So, whether you’re looking for a gift for yourself, or a special something for the dog lover in your life, check out Lottie’s stunning and unique gifts – they are just perfect for any canine enthusiast. 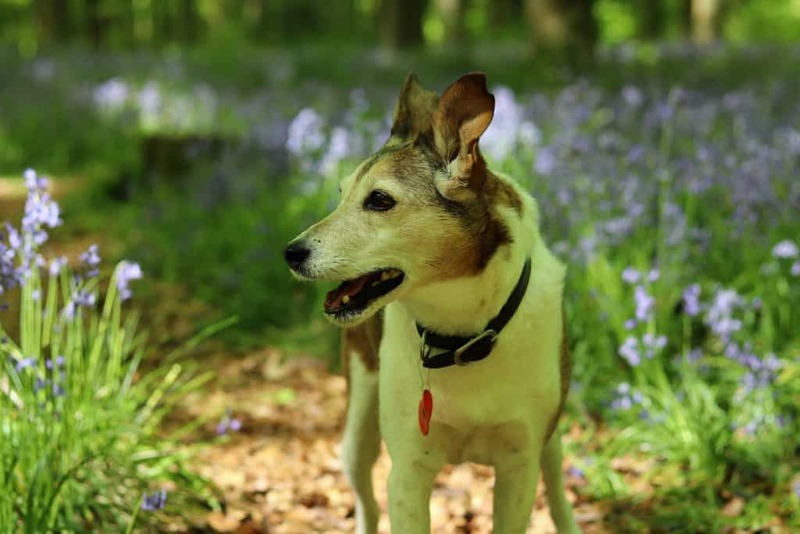 As if you weren’t already tempted enough, use code DOTTY4PAWS and you can enjoy a cheeky 15% discount off your order. 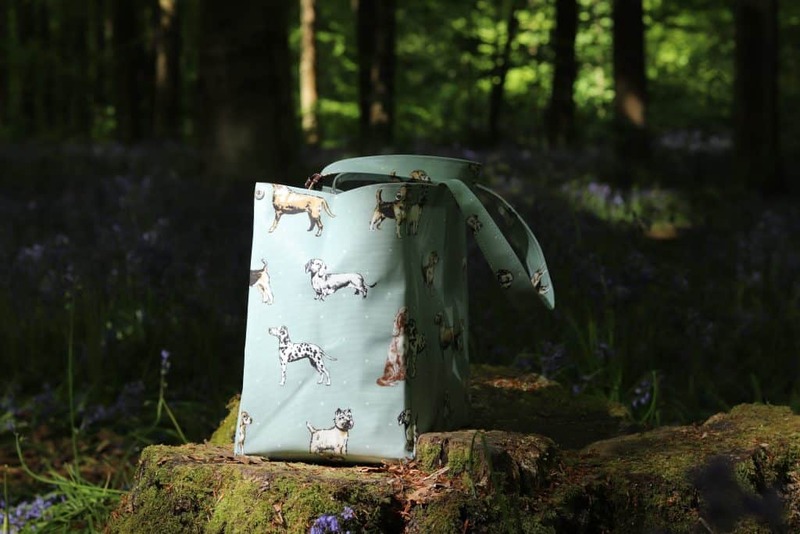 A huge thank you to Lottie for asking us write about another of her gorgeous products – we absolutely adore our new bag.